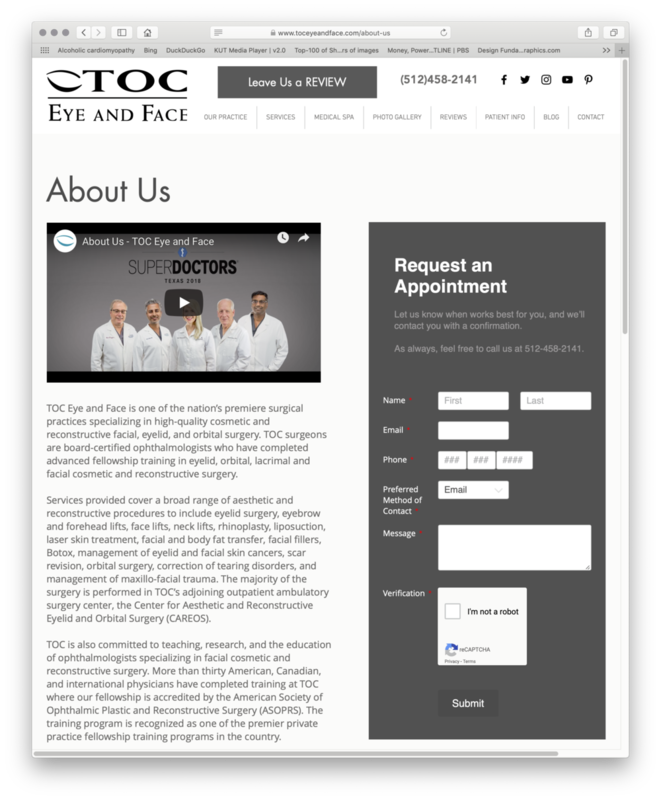 TOC Eye and Face was expanding its surgical practice to include a greater emphasis on elective and cosmetic procedures, and adding a medical spa integrating the appeal of a traditional spa with services performed and supervised by highly trained physicians. A new website was key to evolving a medical practice focused on clinical, disease-oriented concepts and language into a more approachable and desirable experience for potential patients. The assignment called for translating scholarly and technical language into text that was reader-friendly without losing the precision and accuracy demanded by world-renowned doctors and surgeons.